Attachment to a particular identity is probably the biggest veil that holds most of us back from from having direct access to the highest form of Consciousness; which is the state of the pure ‘I AM presence’, where we are at one and fully infused with All-That-Is and All-That-Is-Not. Too often are we defining ourselves as the smaller aspect of ourself, and tell ourself that “I AM just doing my job”, “I AM powerless towards the big events taking place”, forgetting that when accessing the heart space & source reality and when accessing the ‘I AM’ presence; we are the creator of the reality that we experience. Through this power, also referred to as “the law of attraction” sometimes, whatever we put our minds & hearts into; is what we will attract and become. If we say to ourselves that ‘ I AM small, powerless, insignificant or limited’, then this is the reality we will create. This is why the fear based, old paradigm mainstream have so much focus on making us feel small and powerless to the events taking place in the world. Keeping us feeling powerless and identified with the smaller aspect of ourselves is a way of keeping the old paradigm in place. When we wake up to our full potential, the state of the pure ‘I AM presence’, and remember that it is our internal state of consciousness that create the outer reality, then there are no limits to what we can achieve. This is where we are going. This is the new order of power and the new paradigm. We become less rigid more fluid and adaptable to that which is. Be become like water, the material essence of life. The ‘I AM’ presence is at Source fluid and thus is free from any kind of an identity & separated view; and therefore does not even make a distinction between Unity and Separation Consciousness. The ‘I AM’ presence is total acceptance and honoring of that which is, experienced simply as ‘I AM’; in the state of non-judgemental pure presence with infinite potential. So in the I AM presence, we can be fully embodied in our temporary smaller aspect, but simultaneously remember that we can change our smaller aspect anytime we want and thus not attached to it (may it be I AM a carpenter, indian, tired or just average joe). 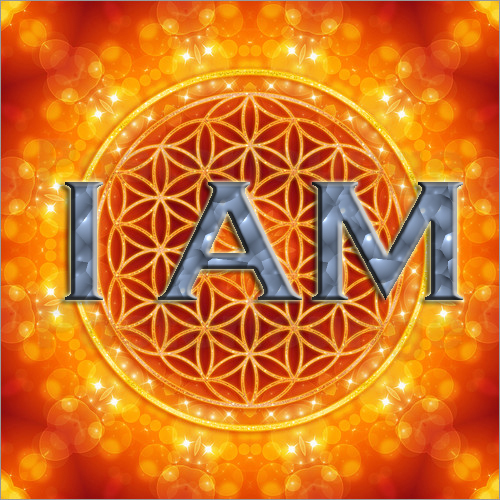 The ‘I AM’ presence is the full embodiment and honoring of the individual and the whole simoultaniously (All-That-Is, All-that-was and All-that-will-be). As soon our awareness becomes attached to an identity, such as; ‘I am asian, american, european’ or as ‘I am scientific, religious or spiritual’; the pure ‘I AM’ presence i diluted and no longer infinitely potential. We become rigid and not very adaptable and free flowing anymore. This is true even if the association is I am ‘Human, spiritual’, Soul’ or ‘Love’. However, through the I AM presence, love , spirituality and soulfulness arises naturally, but there is no identity what so ever, no association and no attachment. Layers of identities are what disconnects us from Source. Anything put after ‘I AM’ polarizes consciousness into Separation Consciousness, which indeed is a form of consciousness; but no longer in its most powerful, infinitely potential and mystical state. May all of us find this within and be the ‘I AM’, be infinite and be the life.